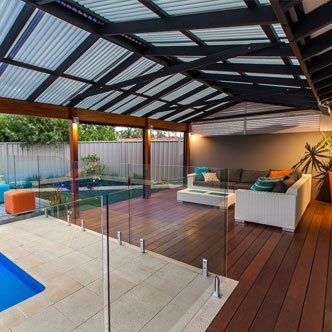 A timber deck is the perfect way to add warmth and contrast to your backyard. Just imagine walking out to your outdoor entertaining area and seeing a new timber deck amongst green landscaping, its relaxing to even thinking about. Beautiful natural timber is available in many colours, each with different properties and suggested uses. 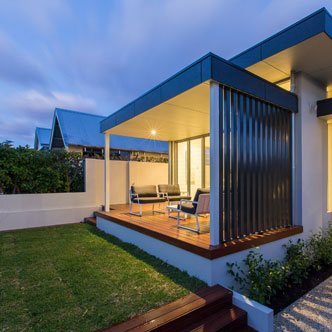 When considering what timber to use for an outdoor deck it is important to consider how much of the deck will be exposed to the elements, the level of usage, source of the timber, durability, fire resistance, impact on our environment and of course, the cost. 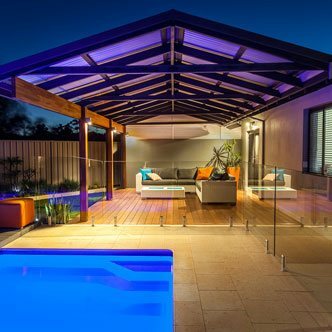 Our experienced team at Sustain will help you make an educated decision on what material suits the look and potential use of your outdoor entertaining area. 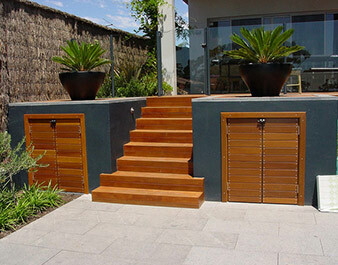 We have experience with decks of all shapes, sizes, and timber because we are the Perth decking specialists. We know that timber decking isn’t limited to an outdoor entertaining area. 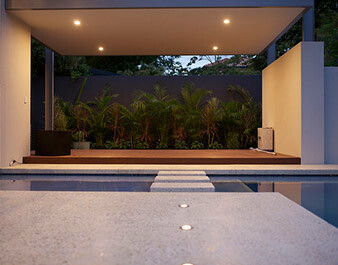 We can deck any suitable part of your home including verandahs, balconies, pool areas, and more! 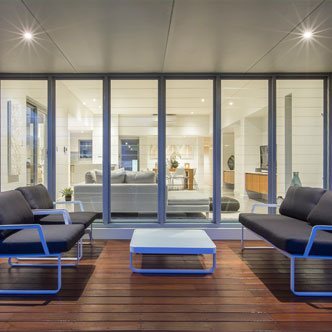 We provide timber decking in Perth that is elegant and durable, so you can enjoy your outdoor transformation for years to come! 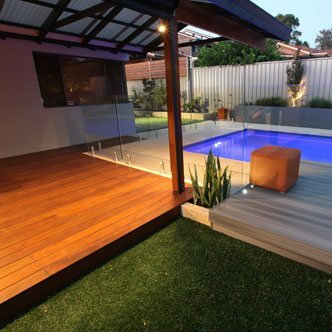 All of our decking is custom made and available with extra trimmings such as feature lights, to really finish off the look. Timber decks look fantastic under the custom Stratco patios we’re known for and ensure that your friends and family can adore your new outdoor entertaining through every season. Want to get in on the action? 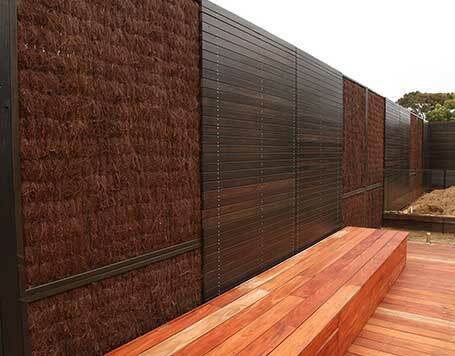 We also have DIY decking kits available in Perth! Perfect for the weekend renovator, our kits are totally custom to your specifications and come with instructions and helpful tips from our team. You’ll feel a sense of pride when you step back and watch your family enjoy their brand new deck you created. But if you want to leave it to the professionals we can help you with that as well! 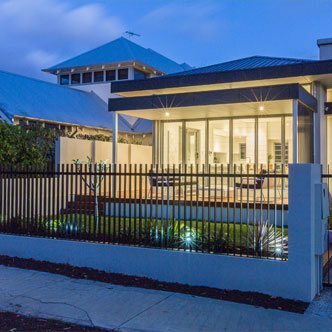 Sustains team of helpful staff and world class tradespeople are guaranteed to deliver you a deck that you’ll not only love, but also be able to enjoy years into the future. There are no sales pitches or ‘one size fits all’ mentality, just honest advice and friendly service.